Pheasant Ridge Winery. Photo courtesy of courtesy of Visit Lubbock. Out on the high plains of West Texas, cotton is king. Five million acres of cotton fields sit on the Llano Estacado—an area larger than New England that’s known as the flattest plain in the Western Hemisphere. Because of the harsh conditions and a history of deadly conflicts between European Americans and Native Americans, it was one of the last areas in the country to be settled. With the intense heat and dryness, it’s hard to believe that anything grows out here, yet the area’s farmers have grown approximately one-fourth of the nation’s cotton over the last 20 years. But on a farm just outside the quaint 1,500-resident town of Plains, Texas, a new crop is budding out under the 100-degree midday sun—grapes. 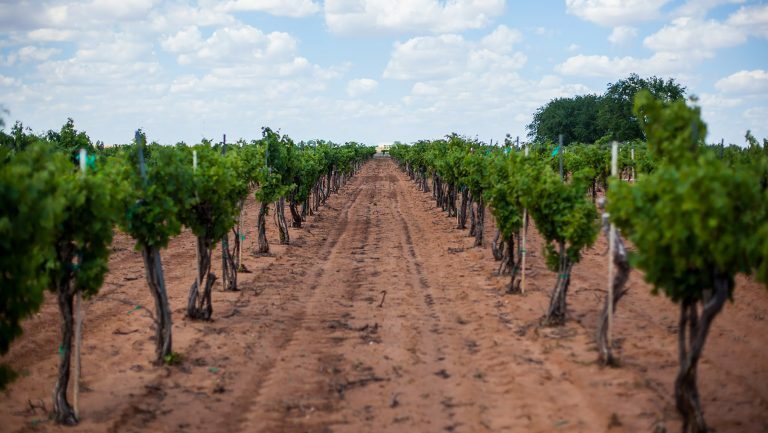 Newsom Vineyards, which has a vineyard in Plains, about 15 miles from the New Mexico border, and a tasting room in Comfort, belongs to Neal Newsom, one of the first cotton farmers turned grape growers in West Texas. With a slow drawl, Newsom explains that his family had been in cotton farming for more than 100 years. “I practically grew up in a cotton gin,” he says. Following in his parents’ footsteps, he and his wife, Janice, started their own cotton farm when he graduated from Texas Tech University in Lubbock. In 1986, however, Newsom began experimenting with growing grapes on a three-acre plot. He’d always been interested in alternative crops and had previously dedicated small swaths of his land to soybeans, pumpkin, and alfalfa. He decided to plant grapes on the advice of one of his university professors who’d suggested that grapes had a lot of potential in the High Plains. Newsom handpicked his first crop of grapes, loaded them into the back of his pickup truck, and drove them to nearby wineries. For almost 20 years he grew both cotton and grapes, adding a few more acres for grapes every year. He reached a point, though, at which he felt he was overextending himself by growing both crops. In 2005 he left the cotton business behind to concentrate on grapes full-time. Photo courtesy of Newsom Vineyard. Newsom had already built a strong reputation in the Texas wine scene. He’d also finally started making back his initial investment, which he says in farming typically takes about 10 years. But it wasn’t just that growing grapes had become profitable; he decided to transition to full-time grape farming because he enjoyed it more. 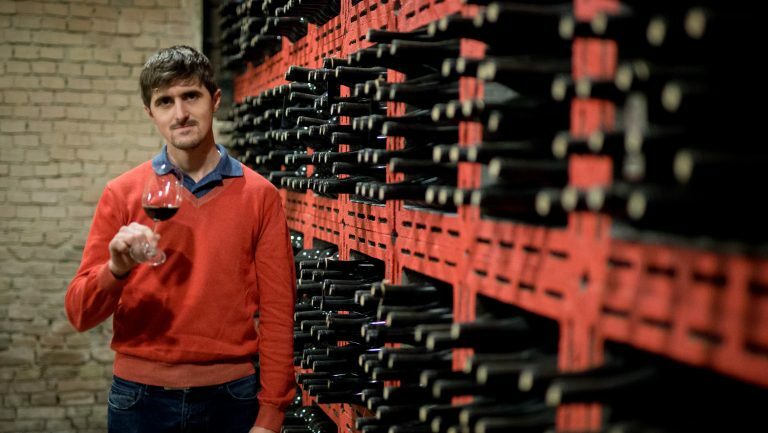 “When people find out what I do,” he says, “grapes and wine are the language spoken the rest of the day. Nobody ever cared what type of cotton I planted.” Today Newsom grows grapes on 150 acres for 14 wineries. The 12,000-square-mile Texas High Plains American Viticultural Area (AVA) covers most of the Texas Panhandle. 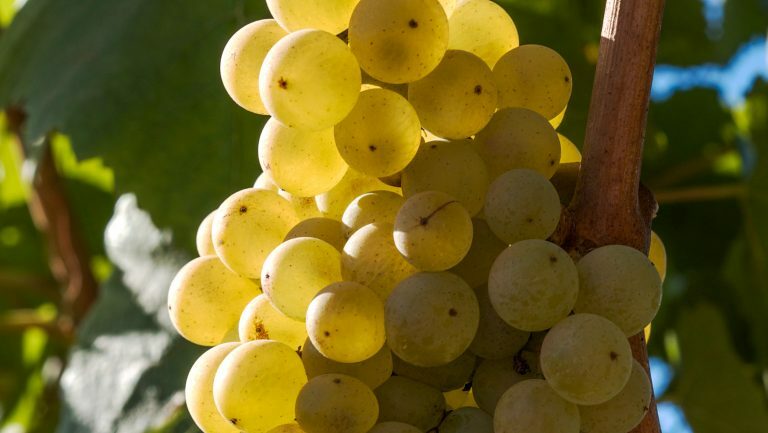 Katy Jean Seaton, the executive director of the High Plains Winegrowers Association, explains that the area can be compared with Lodi, California. Both regions have Mediterranean climates—though on average the Texas High Plains AVA is warmer—and both are commonly regarded as utilitarian wine-growing regions that lack the recognition and tourism that characterize nearby regions, like Napa and Sonoma in California, and Hill Country in Texas. Texas High Plains is not a well-known wine region, even in Texas, but it’s the backbone of the state’s wine industry. Its 5,000 acres of vines produce 85 percent of the grapes for Texas wines. The high altitude—3,000 to 4,000 feet—deep sandy soils, and dry climate make the High Plains an ideal grape-growing region, says Kim McPherson, the owner of McPherson Cellars in Lubbock. McPherson sources all his winery’s grapes exclusively from farmers in the High Plains AVA. McPherson’s father, Clinton “Doc” McPherson, is widely considered to be the grandfather of the modern Texas wine movement. A child of the cotton fields, as well as a chemistry professor at Texas Tech, Doc McPherson began experimenting with growing grapes in the 1960s. He is credited with being the first to plant wine grapes in the Lubbock area. He planted several varieties to see which would grow best in West Texas, and he began making small batches of wine at a time when Lubbock was a dry county and it was still illegal to buy alcohol there. He and his business partner, Bob Reed, went on to open Llano Estacado Winery in 1976 on the outskirts of Lubbock. It was the first post-Prohibition winery to be opened in Texas. In 2005, Texas had 40 bonded wineries. 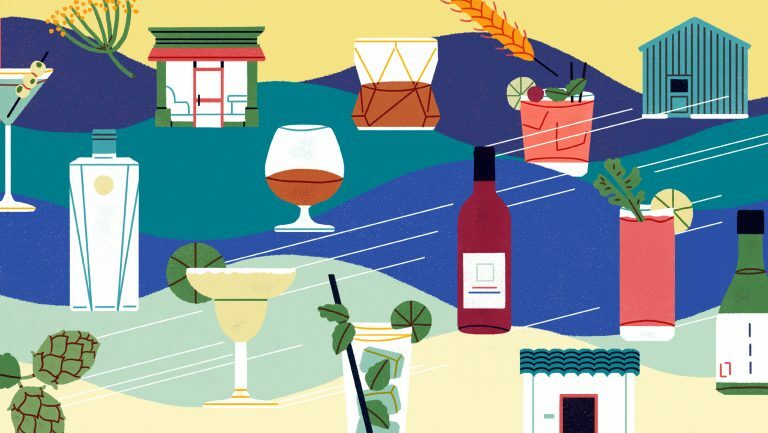 The most significant growth in the industry occurred after a 2005 state bill began allowing Texas wineries to ship directly to their consumers—both in and out of the state. 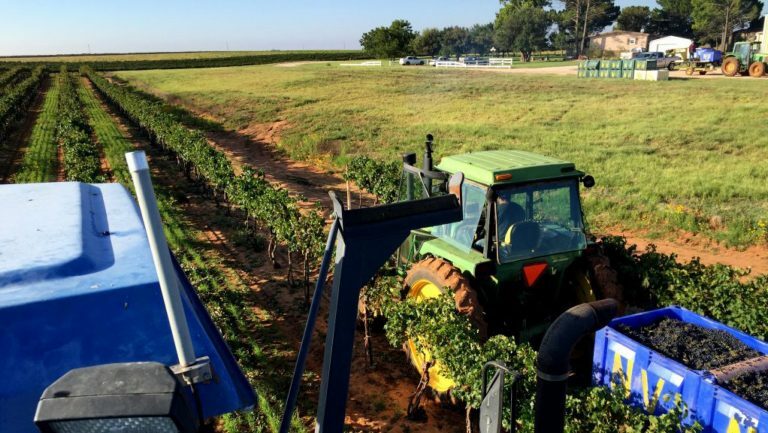 Since then, the wine industry has proliferated; there are now 400 wineries pumping more than $13 billion annually into the state’s economy, according to the Texas Wine and Grape Growers Association. As the demand for wine grew, so did the need for grapes, spurring the traditional cotton farmers in the High Plains to add grapes to their crop portfolio. Grapes earn a larger return on investment with a much smaller impact, explains Seaton. The ROI on 10,000 acres of grapes is equivalent to the ROI on 5 million acres of cotton, she says, noting that grapes use less water, take up a fraction of the real estate, are more resilient to unpredictable weather, and don’t require a middleman to sell the crop, as cotton does. 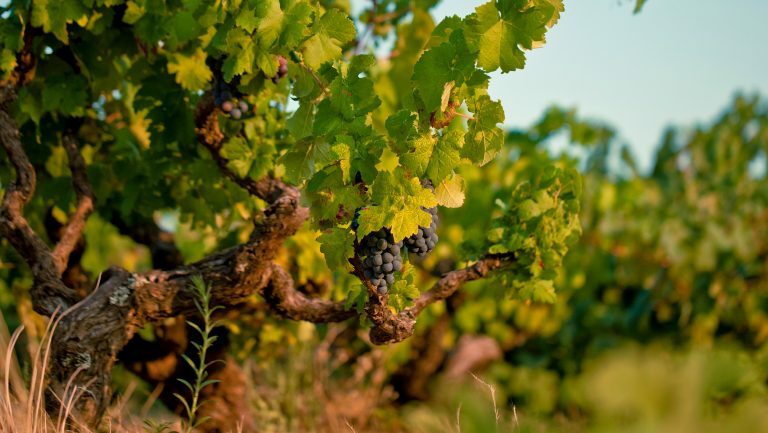 Each winemaker has his or her theory on the particular grape that grows best in West Texas, but they all agree that Mediterranean grapes grow well because of the similarities in soil and climate. Grapes from Portugal, Spain, Central Italy, and the Rhône Valley are popular. McPherson points out that Sangiovese grapes, in particular, thrive in the area. “They grow amazingly out here because they love the heat,” he says. 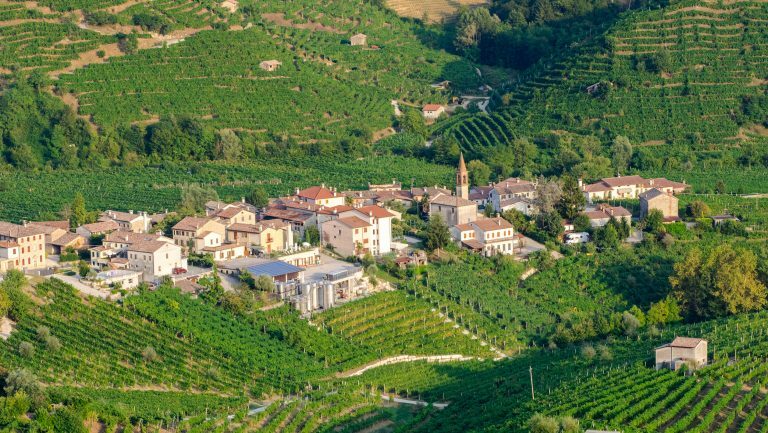 “And we have very dry conditions, which are perfect for grapes.” His winery produced 14,508 bottles of Sangiovese in 2016. The dry heat in West Texas also makes grapes less susceptible to black rot, fungus, powdery mildew, and other humidity-related diseases. Spring frost, though, is one of the biggest challenges faced by growers in the area. It’s one reason that grapes that bud early—Merlot, Pinot Noir, and Chardonnay—are not suited for Texas winemaking. Hail is another threat that can destroy a perfectly good crop. Jennifer Simonson is an Austin-based freelance writer who specializes in adventure travel, craft beer, and wine. Her work has appeared in Paste Magazine, Canoe & Kayak Magazine, and All About Beer Magazine.